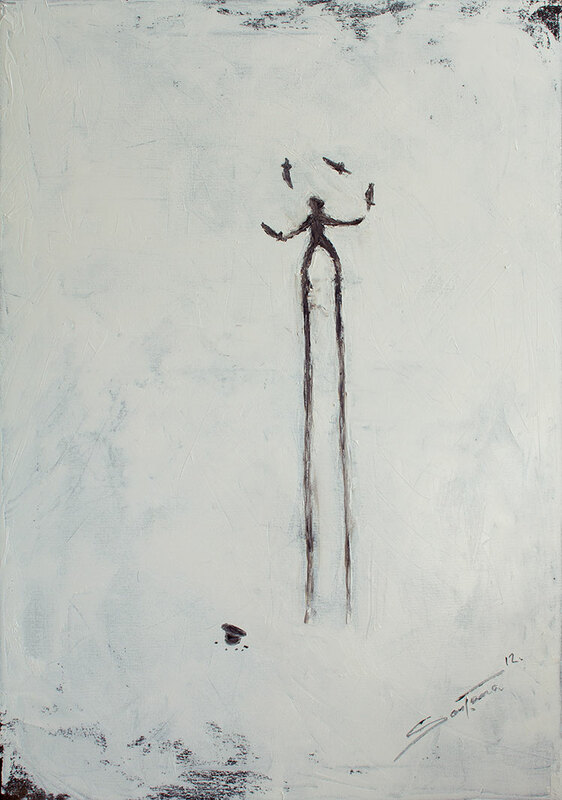 The Juggler, is a piece that had been in my head for some time now, it first came out on a napkin at work, then on some scrap paper, it also made it into one of my sketch books, finally it became this painting, I was very happy when it was finished. it came at the tail end of another piece I’ve been working on for years. The Juggler is a piece in a style very new to me, however I think its one of my favorite pieces! I agree, it’s one of my favourites too! I LOVE this one! It is “perfect”.